Runners up in 2 categories this Year but delighted to have made The Finals in The National Opticians Awards. Thank you to all our dedicated Team and to you, our loyal followers! 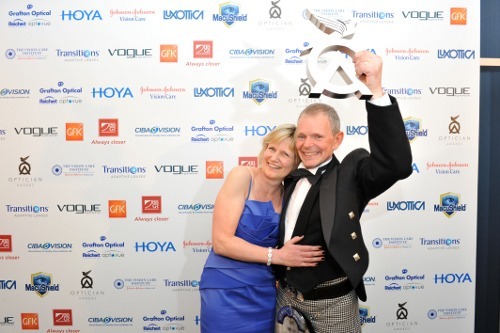 National Opticians Awards 2014 – Runners up! We would like to thank everyone for their Good Luck messages sent before the National Optician Awards. This was not to be our year but we were still delighted to be runners up in both The Independent Practice and Technology Practice, in the splendour of London Park Lane Hilton. It was an amazing night to share with some of our Team; a true privilege to be there! Most important of all was the fantastic fund raising carried out in aid of “The Blind Veterans”, a truly worthy cause. The awards were presented by TV personality impressionist Jon Culshaw whose hilarious rendition made it seem as though the awards were being presented by a host of personalities! Congratulations to all the award winners, especially to our friends from Eyeworks London who took the New Venture Award. Really well done! A massive big thank you to all our loyal patients whose constant support and recommendations have seen us again nominated for the National Optician Awards. We also owe a huge debt of gratitude to our wonderful staff for their constant enthusiasm and professionalism. It would be a tall order to win a third award, but even being shortlisted is a wonderful feeling. Six of the team make the journey to Park Lane Hilton on April 12th and win or lose we aim to enjoy it! We will keep you posted. Thank you to all our patients, staff, and friends for all your support. We are delighted to have been named as National Independent Practice of the Year for the 2nd time in 3 years. 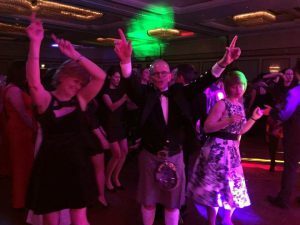 Six of the team travelled to The London Park Lane Hilton for what turned out to be a spectacular event. The evening was hosted by TV comic Tim Vine, whose one line laughter had tears rolling down everyone’s cheeks. We are all fired up by this latest accolade and look forward to providing the kind of service which will live up to our National reputation. Thank you once again. Nigel and Judith. 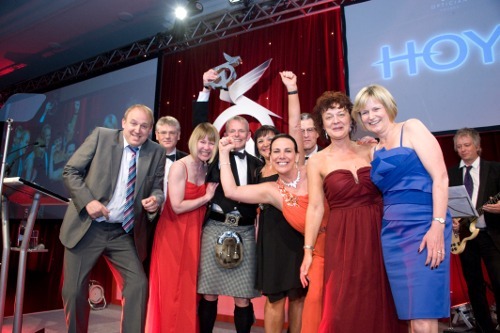 The awards held at the Newcastle Mariott Hotel, Gosforth were a triumph for north east enterprise. 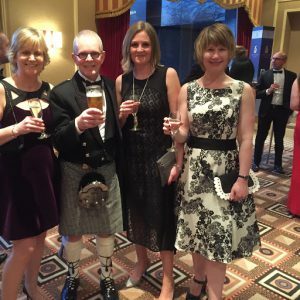 We were named as runner up in the Heart of the Community Award and offer our sincere congratulations to Muckle LLP who were named as the very worthy winners. We now look forward to April and the National opticians Awards Finals. We are proud and amazed to announce that for the 3rd year in a row we have been shortlisted for The Optician Awards Finals in 2 categories: Independent Practice of the Year Technology Practice ofthe Year. Disappointingly, we are the only representatives this year from the North East of England and so hope to do the region proud. In the same week we have been informed that we are finalists for the “Heart of the Community” in the North East Business Awards. Thank you once again to our loyal clientelle. This years National Opticians Awards were held at The NEC Hilton, Birmingham. Despite being shortlisted as finalists, we didn’t win this year but it would have been the icing on the cake. We did make it into the News Guardian newspaper though, and we’ve created an Awards page to record our growing list of recognised success.